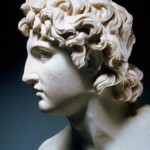 Alexander the Great was a king of Macedon and student of Aristotle. After inheriting the Macedonian throne and army from his father at the age of twenty, he had potential rivals to the throne executed before they could carry out any plans of assassination. Alexander then led his soldiers through ten years of battles, which culminated in his conquering of the entire Persian Empire. He died in Babylon in 323 BC before he was able to carry out his plans to invade and conquer Arabia. In 1935, with a doctorate in art history and no prospect of a job, the 26-year-old Ernst Gombrich was invited to attempt a history of the world for younger readers. 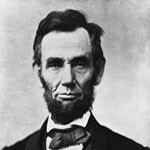 Amazingly, he completed the task in an intense six weeks, and Eine kurze Weltgeschichte für junge Leser was published in Vienna to immediate success, and is now available in twenty-five languages across the world. 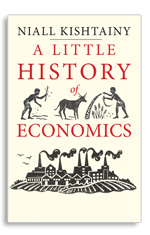 This clear, accessible, and enjoyable book presents a lively account of the history of economics, from the rise of agrarianism to the findings of behavioral economics in the twenty-first century, while introducing the big ideas proposed by thinkers including Adam Smith, Ricardo, Marx, and Keynes.